Honestly, I was just getting used to it being 2018. Where does the time go? For me, the holidays are a time of joy and reflection. A time to celebrate our family and friends. To fondly remember those we’ve lost. To find inspiration and hope. To share with those who are less fortunate than ourselves. To do something meaningful and unexpected for someone in need or having an especially hard time. To my mind, there is so much to be grateful for and so much to cradle in our hearts. Perhaps more than anything, I'm truly thankful to be part of a company that is so focused on helping others improve their quality of life. 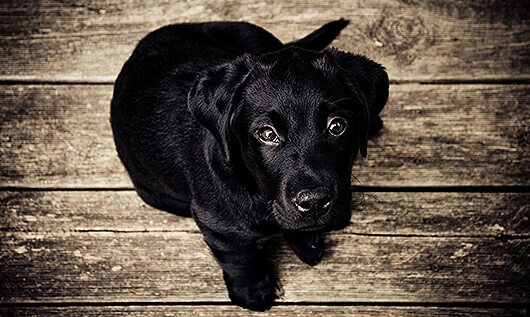 A company that works to make life better for both people and their companion animals. I consider it a great privilege to work with such a dedicated team. And to communicate with you through this blog, where we try to share valuable information to help people be informed and entertained. And, of course, to bring you updates about the vitally important work of The Dr. Jane Foundation. Our charitable foundation has achieved great things this past year! In addition to 18 financial awards given to worthy animal rescues through our usual grant process, we were also able to provide emergency funding to two groups that coordinated assistance to injured and homeless animals displaced by devastating fires that raged in California last month. As many of you know, the Camp Fire was the deadliest wildfire in California's history. The emergency response of the last two groups on the following list of grant recipients made a tremendous difference for all kinds of animals, and for that, we are extremely grateful. Without further ado, here's the list of amazing rescue organizations that received funding from our non-profit this year. The generosity and patronage of our customers enables our foundation to continue its good works. From the bottom of my heart, I thank each and every one of you. Every time you shop at Life's Abundance, a contribution is made to our funding. And we are very proud that over 95% of that money goes directly to the organizations that need the most help. While the work of the foundation is a vital part of Life's Abundance, our central commitment is devotion to the people who use our products: you inspire us. Without your support and feedback we would not be the company we are today, and from the very core of my being, I thank you. 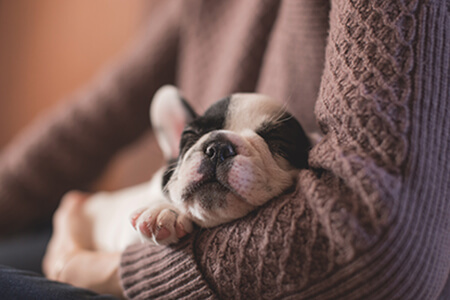 Rest assured, we will continue to improve our innovative health formulations and create new, cutting-edge products to help improve the health and longevity of companion animals. With the combined efforts of our committed and motivated team, we can surely make 2019 our most successful year ever! Thank you for the privilege of working with you and your families, for the trust you place in our products, and for all you do to make the world a better place for companion animals. From all of us here at Life’s Abundance, we wish you and yours a Meowy Christmas and Happy Paw-nukkah! The holidays are a time of joy and reflection. A time to nurture inspiration and foster hope. And most of all, a time to share with those who are less fortunate than ourselves. Our very own Dr. Jane Bicks looks back on the year's achievements and shares her many thanks this holiday season. The holiday season is upon us once again. Soon, many of us will be swept up in a whirlwind of festivities. Buying the perfect gifts, trimming trees and spending time with loved ones. Once the gifts are opened and the twinkly lights are extinguished, it’s the time to pause and reflect on the year that’s passed. And, of course, make resolutions for the New Year. As I look back on 2017, I feel truly grateful and honored to be a part of a team of individuals that are so devoted to the health and well-being of companion animals. At Life’s Abundance, the quality of our products pretty much speak for themselves. But they all include one important ingredient you won’t find on the label … heart. From our customer service agents to our management team to our dedicated Field Representatives, everyone affiliated with Life’s Abundance plays their crucial part in fulfilling my personal mission in life … to help dogs and cats lead longer, healthier and happier lives. As far as my own role, I’m thankful for every opportunity I get to speak with customers and reps, as well as potential customers. I only share my thoughts and insights in the hopes someone will benefit. That being said, because this is the season of giving, I wanted to update you on the work of the foundation that bears my name. As you probably by know, The Dr. Jane Foundation is a non-profit organization that awards funding to small and medium-size animal rescues, each of which are committed to saving abused and neglected animals from a variety of dangerous situations. Thanks to the generosity and continued business of people just like you, our non-profit was able to help fund the everyday activities of so many worthy groups this year, as well as providing emergency funding in the wake of the disastrous flooding in Texas after Hurricane Harvey. While the work of the foundation is a vital part of Life's Abundance, our central commitment is devotion to the people that use our products: you inspire us. Without your support and feedback we would not be the company we are today, and from the very core of my being, I thank you. Serving as Director of New Pet Product Development has been my great privilege. By monitoring discoveries in nutritional science, I will continue to improve our innovative health formulations and create new, cutting-edge products to help improve the health and longevity of companion animals. With the combined efforts of our strong, motivated team, we can surely make this New Year more successful than ever before. On behalf of everyone here at Life's Abundance, I wish you and your family joy, health, and success in 2018. 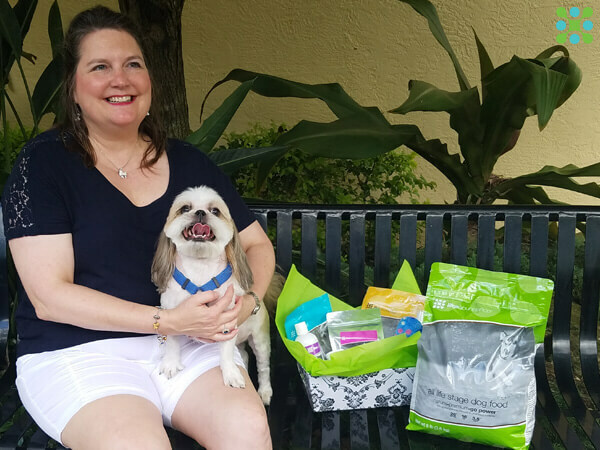 Our pet product formulator takes time to reminisce on the past year, and share her many thanks this holiday season. This week, one of our military veterans received a hero’s farewell. In Muskegon, MI, hundreds gathered to witness the passing of Cena, a black Labrador who retired in 2014 after serving three tours of duty sniffing out explosive devices in Afghanistan. After his recent diagnosis of terminal bone cancer, his caretaker made the decision to end Cena’s life with dignity, and some well-earned fanfare. Cena was one of many military service animals who have saved countless lives for decades. We reflect with gratitude on the history of those who have served, both human and companion animal, alike. For those of us who don’t serve and are fully entrenched in the civilian way of life, military life can feel like foreign territory. Given that so many have given so much, we’re left to wonder, “What can we do to help?” To that we say, “We’re glad you asked” and we encourage you to open your heart to these following possibilities. Foster During Deployment: If you answer “no question, my dog/cat” when asked who you’d want with you on a deserted island, fostering an animal for service members deployed overseas may be the role for you. Like anyone, active military service members can and often do have doggos and kitties. They also have the unique hardships of extended out-of-town training, deployments and living far away from a network of family or close friends. Lest these difficulties bar service men and women from being pet parents (or worse, surrendering a pet), there are organizations that exist to “matchmake” service members with volunteer pet boarders. These groups seek private homes and boarding facilities that would care for a military foster pet for as short a period as a couple of weeks, up to one year and everything in between. If you live near a military base, check for a regional service in your area or visit one of the national services like DogsOnDeployment.org. Adopt a Hero: In an ideal scenario, a retired military working dog (MWD) is to ultimately be adopted by their handler partner, but this is not always possible. If you are a fan of dogs who demonstrate a real drive and purpose, perhaps you have a place in your home for a retired hero! The 2016 National Defense Authorization Act was cause for great celebration because it means that retired military working dogs are now, for the first time, assured of being returned to the U.S. Previously there was tremendous advocacy and expense required on the part of the handler or other caring humans to get these dogs back home. Some adoption organizations currently have waiting lists for MWDs, but this new act could mean an increase in the number of retired working dogs seeking forever homes. To learn more about retired MWD adoption, please check out U.S. War Dogs Association and Mission K9 Rescue. 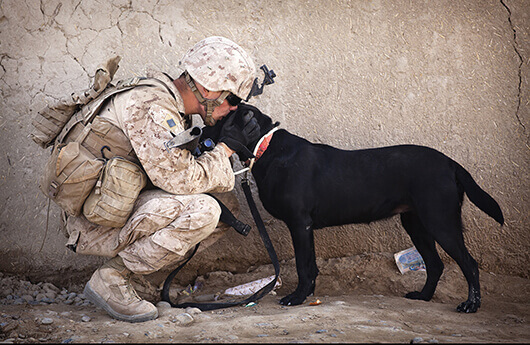 Make a Contribution: There are approximately 2,500 U.S. Military Working Dogs currently in service around the world. 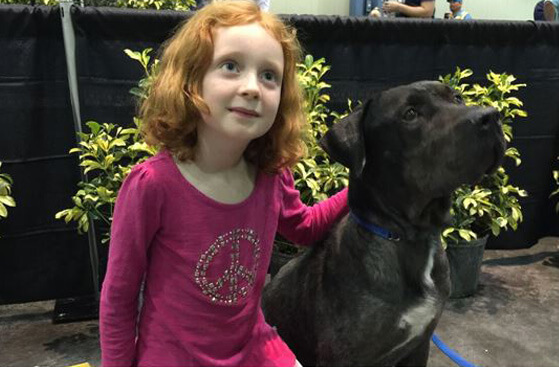 Consider spending the time to assemble a care package for one, two or even a few of these remarkable canines and their handlers. A little bit of comfort can go a long way towards helping service members endure conflict hardships and feel connected to home. There are also a handful of non-profit groups that facilitate medical care, housing and adoption for retired military dogs – all of which need financial assistance. And let’s not forget our local law enforcement agencies! These groups are often under-funded and under-equipped for their K9 officer programs, relying on grants, private donations and out-of-pocket contributions from their officers. Project Paws Alive works to centralize fundraising efforts for departments actively seeking help. Or simply contact your local fire rescue, sheriff or police department to learn about their specific needs and how you might be able to help. Become an Advocate: As ‘excess and out-of-service equipment’, Retired MWDs do not receive government funding to support their integration into civilian home life. It’s not uncommon for them to have costly medical needs, or to be without a safe place to heal from the effects of Post Traumatic Stress. Others simply need temporary housing or even just transportation to their new forever home. There are also ‘guardian angel’ volunteers who keep track of MWDs re-apportioned to private contract companies in hopes they may be assured a loving home when their service finally ends. In light of everything our service members do for us (human and canine), embrace that patriotic spark and let your gratitude inspire action. And be sure to share your own stories in the comments section below! We reflect with gratitude on the history of those who have served, both human and companion animal, alike. Some are left to wonder, “What can we do to help?” To that we say, “We’re glad you asked” and we encourage you to open your heart to these following possibilities. Even though great progress has been made in the last 30 years to reduce the number of animals being euthanized, a recent report by Best Friends Animal Society puts that number at 5,500 per day. To put that in a historical context, in 1984 that total was well over 46,000 per day (approximately 17 million per year)! While that represents a huge decrease, we think everyone can agree that two million every year is still two million too many. That’s just one of the many reasons why our non-profit’s work is so important. By supporting the vital work of animal rescue groups who are dedicated to saving all lives, we are truly making a difference. As the charitable arm of Life’s Abundance, The Dr. Jane Foundation provides financial support to small and medium-size rescue groups who work to prevent animal homelessness, abuse and chronic neglect. Because charitable work is central to our mission of wellness, every order we process aids homeless animals. And all of those small donations add up to a significant force for good. In the span of several years, The Dr. Jane Foundation has awarded funding to over 150 groups! In a very real sense, every one of our loyal customers helps to support the cause of animal rescue, regardless of what you buy! While your focus may be on the well-being of your companion animals, or even yourself, you can rest easy knowing that you're not only helping homeless animals become companion animals, you’re also helping to eliminate the need for euthanasia. And now, we’re pleased to inform you that our Board of Directors just held a quarterly meeting on February 8th. They approved four applications, funding the grant requests of the following animal rescue organizations. Pawsitive Tails is a non-profit organization focused on finding forever homes for dogs and puppies in Kansas City and Topeka. They are not a traditional shelter organization, but rather a network of foster homes. This all-volunteer organization puts special focus on finding the perfect home for each rescue dog. During their time in foster care, the temporary pet parents closely observe the behaviors and personality traits of the pups. Later, they will use this info to help match prospective adopters with their ideal dog. Another new rescue group, in their first 12 months of operation they took in 379 dogs and 349 were placed in loving homes ... remarkable! And every penny they raise goes directly to the care of their rescues. Our financial award will go towards funding their spay-and-neuter program and to help provide food for the foster pups. For more information about their adoptable dogs, visit pawsitivetailskc.org. Based in New Orleans, this foster group has been active since 2003 and was severely impacted by Hurricane Katrina. With a focus on purebred and mixed-breed Schnauzers, this small but dedicated rescue takes in dogs from local shelters and owner surrenders. Many of the pups in their care were made homeless when their caretaker passed away. They have rescued more than 300 Schnauzers since they began operations, and save as many as 38 per year. While some canines require months-long stays due to medical complications, this group attempts to place new rescues in loving homes in just a couple of weeks. Currently, they are working to expand their foster network and to provide rescue services in areas of Louisiana where shelters rely on euthanasia. 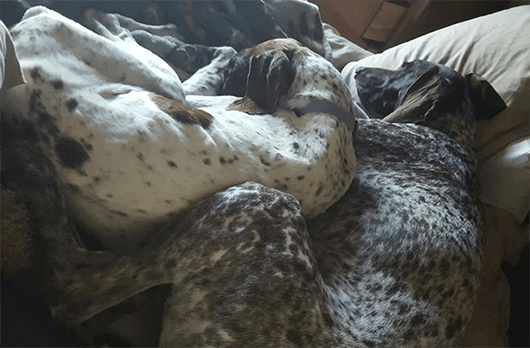 Now that Schnauzer Rescue has built a reputation for their commitment and superior care, more and more rural areas are looking to them for help in dealing with homeless dogs. For more information about this rescue’s adoptable dogs, visit nolaschnauzer.com. Are you involved in an animal rescue, or know someone who is? We are currently accepting applications for 2017 funding. Our Board will be considering applications for the next round of funding in April, so try to have completed grant requests submitted by the end of March to ensure your group’s consideration. For all those who actively support our non-profit, we can’t thank you enough. Thanks to your personal donations and continued patronage, we are taking real steps to help animal rescue groups across America achieve their goals. Together, we’re making a positive difference in the world, one animal at a time. By supporting the vital work of animal rescue groups who are dedicated to saving lives, we are truly making a difference. A time of fellowship and enduring affections, this year’s holiday season has finally arrived. For many Americans, the chance to value and support friends, family and community offers a welcome change of pace, given a fractious election year. Many of us are already throwing ourselves headlong into preparations to spend quality time with family and friends. And while we may be fully invested in our immediate and upcoming holiday plans, this time of year finds us considering the plights of others … it is the season of giving and thanks, after all! I’m so grateful to have helped establish a company that does so much to promote the welfare and health of companion animals. As I’m fond of saying, we’re a small company with a great big heart. Helping companion animals to lead healthier, longer and happier lives is not just an important company commitment … it’s our personal mission. I can’t begin to tell you how proud I am of our non-profit’s essential work. The Dr. Jane Foundation provides funding to an incredibly diverse array of small and medium-size animal rescue groups. Regardless of geography, all of these groups are united in common cause … doing whatever it takes to save neglected, abused and homeless animals. Over the last 10 years, it’s been my great honor to discover the hundreds of rescue organizations who invest so much time, energy and passion into forging a brighter future for these helpless creatures. Along with my fellow Board Directors, I have witnessed the amazing resilience of companion animals who have suffered any manner of trauma. Their journeys of healing and hope inspire us to do more for the legions of volunteers, foster parents and veterinarians who work so hard every single day. Best of all, every time you purchase Life’s Abundance products, a small donation is made in honor of these groups. Simply by shopping with us, every one of our loyal customers helps to support the cause of animal rescue. So, while you're actively working towards wellness for yourself, your family and your companion animals, know that you're also giving a helping hand to the people who have dedicated their lives to making life better for homeless animals. It seems only right this holiday season to share news of our most recent round of funding. And, seeing as how this IS Thanksgiving, I’d like to personally thank the following seven rescue groups, each of whom received financial backing from our non-profit. Please note that most, if not all, of the dogs depicted in the following photos are available for adoption. Including these awards, The Dr. Jane Foundation has awarded grants totaling nearly $24,000 to 18 worthwhile rescues this year! Soon we will reveal more details about what these non-profits are able to accomplish with our funding. But for now, we extend our hearty, holiday congratulations to all of these groups for their remarkable efforts to make the world a better place for companion animals! Are you involved in an animal rescue, or know someone who is? We are currently accepting applications for 2017 funding. Our Board will be considering applications for the next round of funding in January, so try to have completed grant requests submitted by the end of the year to ensure your group’s consideration. This holiday season, any contribution you make will help to ensure that deserving groups like these continue to receive much-needed financial support. We will be thrilled to receive your donation, in any amount. For all of you who have already supported our non-profit, we can’t thank you enough. Thanks to your personal donations and continued patronage, we are taking real steps to help animal rescue groups across America. With your help, we’re making a positive difference in the world, one animal at a time. Wishing you the very best this holiday season, and always! A time of fellowship and enduring affections, this year’s holiday season has come.